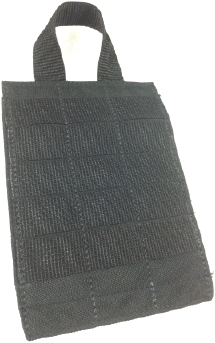 Used to attach any Molle style pouch or item to a surface or a belt. 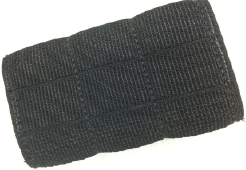 The Velcro/Molle adapter allows the F113B Tactical Gunshot Wound Kit, F114C Enhanced Gunshot Wound Kit or any Molle style item to be attached to a surface with Industrial Strength Velcro or attach securely to a duty belt. This item is included with the F114C Enhanced Gunshot Wound Kit and may be purchased separately for the F113B Tactical Gunshot Wound Kit. Shown on the left below is the Adapter configured to attach to a surface with Velcro and on the right configured to attach to a belt.